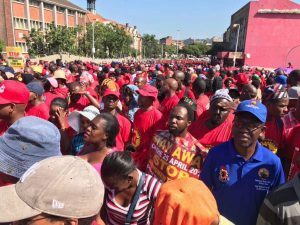 SAFTU statement on National Strike Today! Town, Durban, PE, Bloemfontein and Polokwane, plus thousands more in rural areas and small towns who joined the protest by not working on the day. 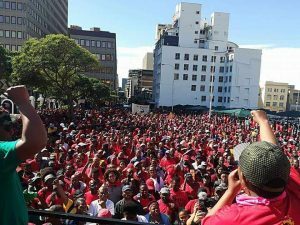 The bills have been referred back to the Department of Labour for redrafting to include the submissions made to the parliamentary Portfolio committee on labour, one of which was made by SAFTU on 17 April 2018. 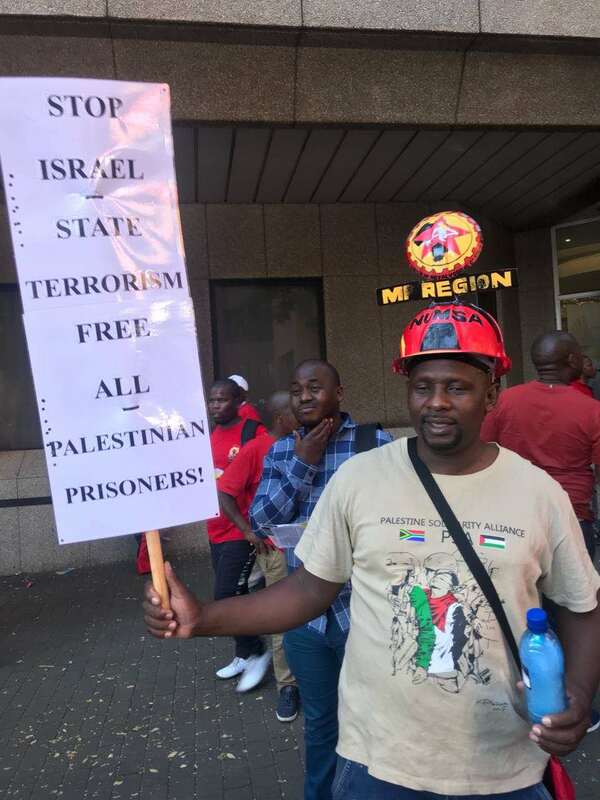 The bills will then return to Parliament and SAFTU will continue to persuade MPs to support its demands. Already we have convinced three parties to support our views – the Economic Freedom Fighters, the United Democratic Movement and the African People’s Convention. 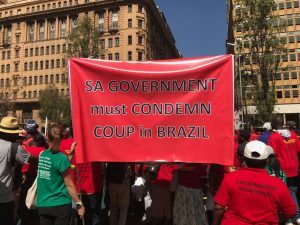 We hope to convince more, including some ANC MPs. 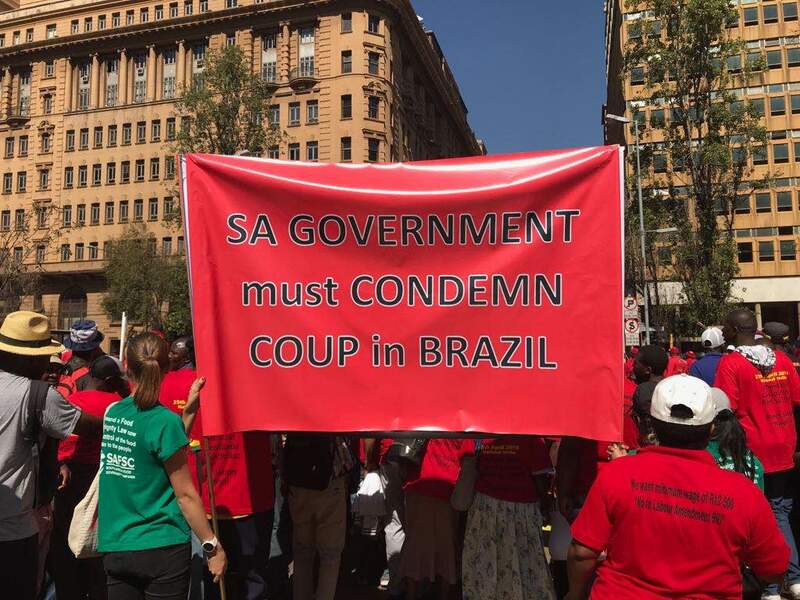 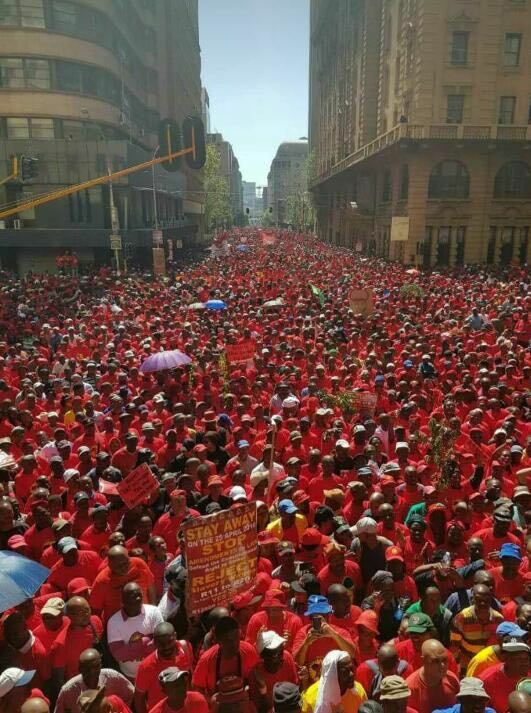 But our campaign will never depend on MPs or courts to succeed, but on more of what we saw today – mass action on the streets, which will get bigger each time, until we finally achieve are goals which are for a living minimum wage of R12 500 and amendments to labour laws to make it easier, not harder, for workers to be able to enjoy their constitutional right to strike.